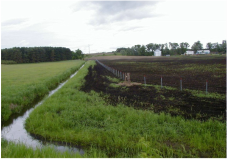 The Sherburne County Soil and Water Conservation District provides technical assistance for the management of rural resources to landowners, Cities, Townships, and Sherburne County. We assist landowners with activities such as identifying buffer areas, creating nutrient management plans, and designing waterways. We assist local government with feedlot inventories, planning and protection programs. The Ag Best Management Practices (AgBMP) Loan Program provides low interest financing to farmers, agriculture supply businesses and rural landowners to encourage agriculture best management practices that prevent or reduce non-point source pollution identified in the local water plan. The plan reduces existing water quality problems caused by agricultural activities, helps the County implement the local water plan and can be used to fund the private portion of projects partially funded by state or federal cost-share or other sources of funding. For more information on AgBMP loan program click here, or contact our office for an application or further information, 763-241-1170 x 4. 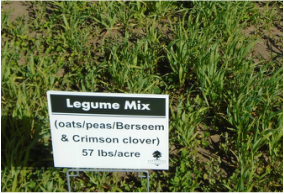 ﻿Cover crops, are quick-growing crops, such as winter rye or clover, that are planted between periods of regular crop production to prevent soil erosion and provide humus or nitrogen. Cover crops help increase productivity and profitability, and help improve water quality on Minnesota farms. Some of the benefits of planting a cover crop include: Suppressing weeds, adding organic matter to the soil, and protecting from soil erosion. Additional information can be found in our SWCD Cover Crop Brochure. 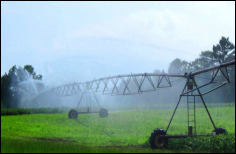 Irrigation Scheduling is the process used by irrigation system managers to determine the correct frequency and duration of watering. The goal in irrigation scheduling is to apply enough water to fully wet the plant's root zone while minimizing overwatering and then allow the soil to dry out in between waterings, to allow air to enter the soil and encourage root development, but not so much that the plant is stressed beyond what is allowable. 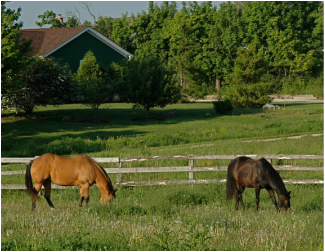 How you care for the grass in your pastures and deal with animal waste are a few examples of land management. Good land management protects clean water, animal health and saves money. becomes an asset instead of an eyesore, odor problem or fly magnet. cover results in lower feed costs and better animal health. 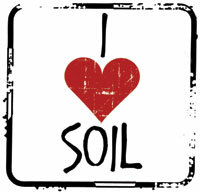 Did you know that just one inch of good quality topsoil takes 500 years to produce? Healthy soil gives us clean air and water, bountiful crops and forests, productive pastures, diverse wildlife, and beautiful landscapes. Soil health, also referred to as soil quality, is how well soil does what we want it to do. More specifically, soil quality is the capacity of a specific kind of soil to function, within natural or managed ecosystem boundaries, to sustain plant and animal productivity, maintain or enhance water and air quality, and support human health and habitation. 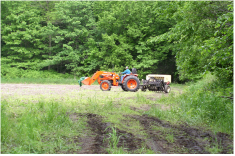 To learn more about Soil Heath or get information on soil surveys done in Sherburne County Click Here. 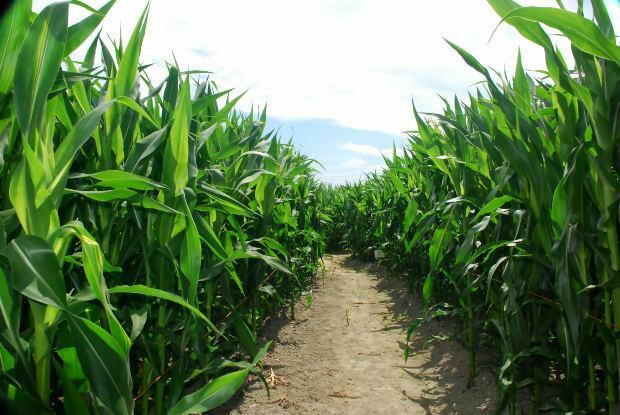 This is a weekly summary of specific crop stage of growth and evapotranspiration (ET) as well as local climate data, current and expected growing degree days and allowable depletion rates for each crop. The reports are provided free of charge via email, fax or hard copy starting April 1st each year and running for the duration of the growing season. Currently over 50 irrigating producers of Corn, Russet Potatoes, Red Potatoes, Soybeans and Green Beans receive the report on a weekly bases. If you would like to be added to this list, please provide your contact information in the form below, or contact our office at 763-241-1170 x 4. 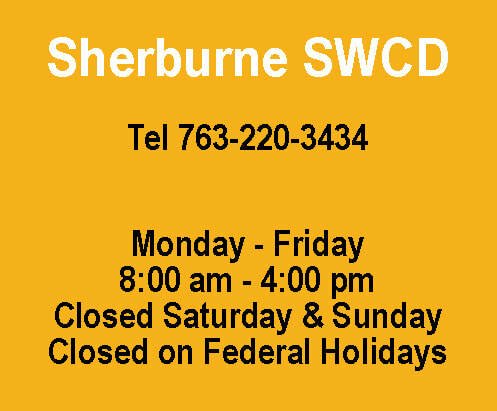 Presentations from the SWCD Small Farms Night are available to download here.